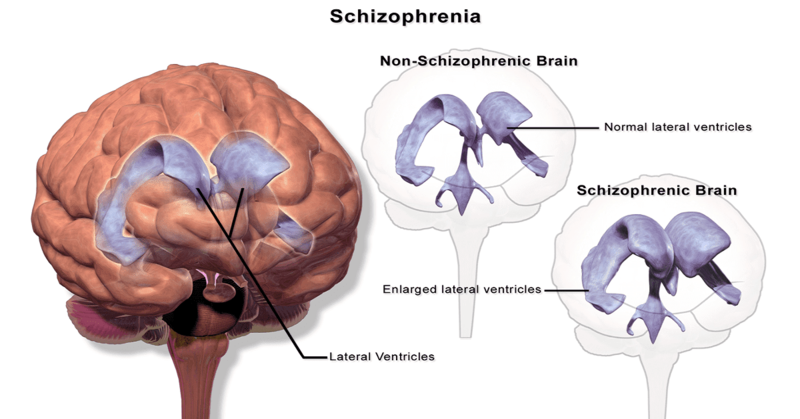 What Is Schizophrenia? What Are Schizophrenia Symptoms? Schizophrenia is a kind of a mental disorder in which a person shows abnormal social behavior. The person showing schizophrenia symptoms feels he is a split off from the reality. In some cases, the person may see or hear things that are not real. It is often mistaken for split personality disorder, but the patient is split off from reality. What is the main cause of Schizophrenia? There is no particular cause or reason for Schizophrenia. The symptoms may occur all of a sudden without warning. Studies show that there may be a hereditary component in the brain of the person suffering from this disorder. Most common early signs can be difficulty in laughter and loss of personal hygiene. How Early Can The Symptoms Be Detected? The symptoms of Schizophrenia can go undetected for a very long time. The person showing mild symptoms can appear moody and discontent. They speak in confusing ways and believe that they are being watched, and someone is trying to harm or kill them. It is because of these thoughts that the person withdraws himself from the real world and lives in isolation and fear. Are the symptoms similar to everyone? What Are Some Of The Major Schizophrenia Symptoms? Delusions: the person believes that he is being controlled or watched by someone or is being followed. It can also be a belief that an individual holds extraordinary powers or is famous. Hallucinations: it is the disturbance of perception. The person will usually experience this thing will hear things and see something which is unreal. Disorganized Speech: the person uses words and sentence that does not make any sense to other. Apart from these major Schizophrenia symptoms, there are other symptoms exhibited by the person. The person will show a lack of motivation, shows no feelings at all. He will socially withdraw himself and might also show the difference in expressing emotions. The person might face difficulty in focusing and giving attention to detail. They cannot understand the information and use it to take decisions. Is This Condition Seen Only In Adults? Not only adults, but even children might also suffer from Schizophrenia symptoms. Children with this disorder will not want to play or talk to other kids. They might lose interest in many activities; show difficulty in concentrating on studies. They tend to stick to their parents all the time. The child's ability to think and take decisions is severely hampered. It is very tough to differentiate the normal behavior of a child or symptoms of this disorder. Schizophrenia causes emotional distress and sufferers will find it difficult to lead a normal life. A person suffering from this condition will need medical attention. But the person might not know that he is suffering from that condition. So it is the responsibility of the loved one to check for the Schizophrenia symptoms and seek medical help for the person.